Descalso has been on fire to begin the season, going 8-for-16 with one walk and three strikeouts. 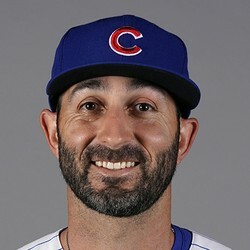 Descalso could earn himself some additional playing time if he continues to hit, as the Cubs could easily play him at second base against right-handed pitching and move Ben Zobrist to the outfield. He posted a 111 wRC+ in 423 PA for Arizona last season, and could be valuable in NL-only leagues if the Cubs play him more often.